During 2016, UMC's Nurse Family Partnership (NFP), made possible through support of the UMC Foundation, provided services to 158 clients and graduated 37. Additionally, the program received recognition as a high achieving program in Texas and was noted for excellence in caseload capacity. NFP provides home visiting nurse support to first-time moms and their children beginning at pregnancy and through the child's first two years of age. This support yields healthier pregnancies and arms moms with knowledge needed to give their babies the best possible start in life. NFP sets rigorous performance standards for their community programs. Programs are required to enroll 85 percent or more of their potential participation. UMC's Nurse Family Partnership has consistently exceeded 85 percent enrollment for the past two years. To watch a success story, click here. In 2016, NFP Texas officially recognized UMC's program as a high achieving program with excellent Caseload capacity. Excellent Caseload capacity simply means that UMC's NFP program is committed to serving the most moms and babies possible and that an improved patient outcome is the program's highest priority. Since the program's inception in 2013, 330 families have been supported and 117 moms and babies have graduated the program. By serving a greater amount of moms and babies, the cost per family is lower. Resulting in strong evidence-based rationale to continue funding Nurse Family Partnership programs, independent research proves that for every dollar invested in local NFP programs, communities can achieve five dollars in return by saving on social services, healthcare and criminal justice costs. UMC’s NFP program is the only home visitation program of its kind in El Paso, Texas. This program is a resource for community agencies needing to refer mothers at-risk of negative birth outcomes or who are at-risk of child abuse or neglect. and 4) Project LAUNCH a collaborative encouraging positive parent/child interaction to prevent child abuse and neglect. Donors make a difference at Nurse Family Partnership. 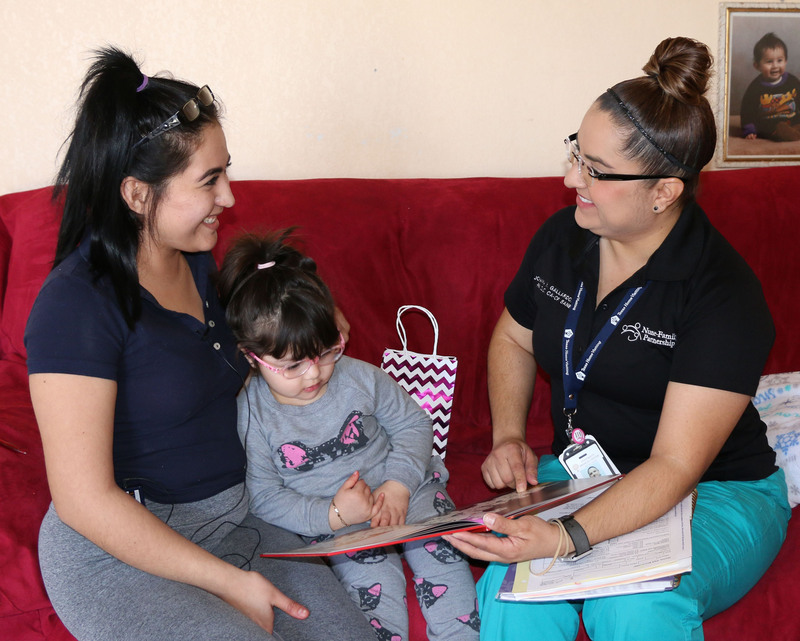 Thanks to the generosity of the Meadows Foundation, $76,000 was awarded to the Nurse Family Partnership (NFP), the only El Paso home visitation program of its kind. NFP pairs a vulnerable new mom early in her pregnancy with a UMC registered nurse until the child reaches age 2. UMC's Foundation and a matching grant by the Texas Home Visiting Program provides the operational budget for the Nurse Family Partnership.Your gift broadens our scope in making sure even more first time mothers can partner with this successful program. Donors interested in more information on Women's Surgical donor opportunities that impact our community's population can email donate@umcfoundationelpaso.org or click here to donate now.